Etiology: Barbering of the tail hairs is observed in gerbils living in cages that are overcrowded. 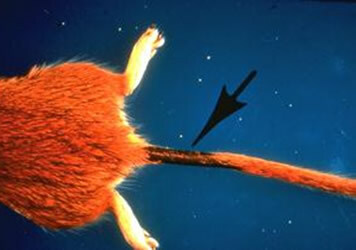 Clinical Signs: Hair loss is noted near the base of the tail on the subordinate gerbil in the group. Diagnosis: A diagnosis can be made by a history of cage crowding and clinical signs.